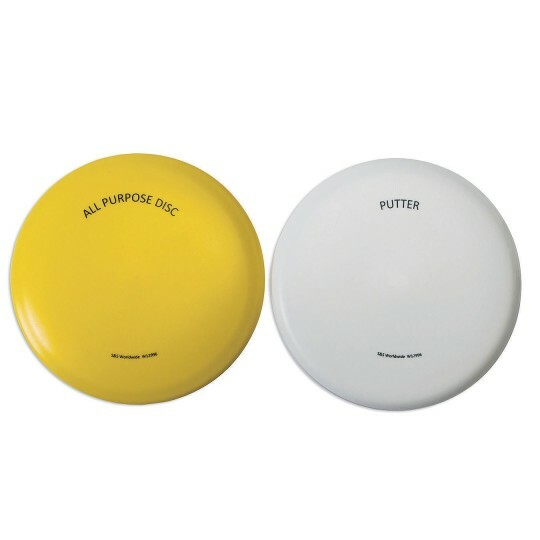 A classic style golf disc set! 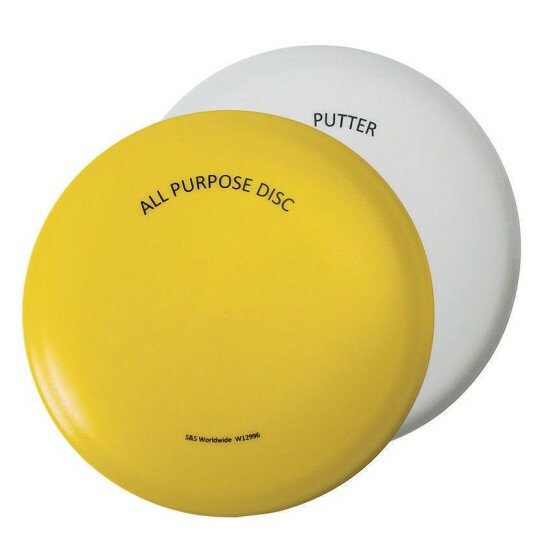 Classic style disc golf disc set includes the more accurate 167 gram yellow putter and the long flying 160 gram blue driver. Both discs are made from durable PE plastic and are between 8-1/8" and 8-1/4" in diameter.